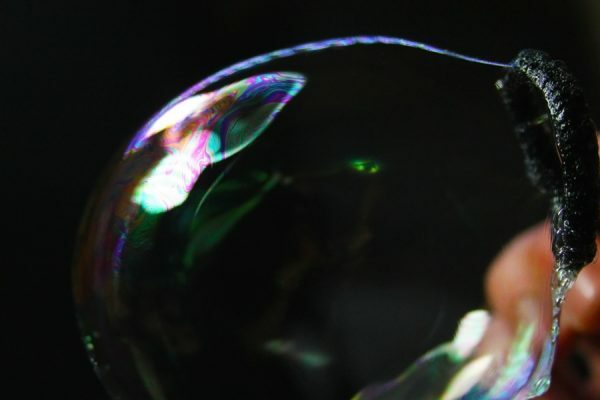 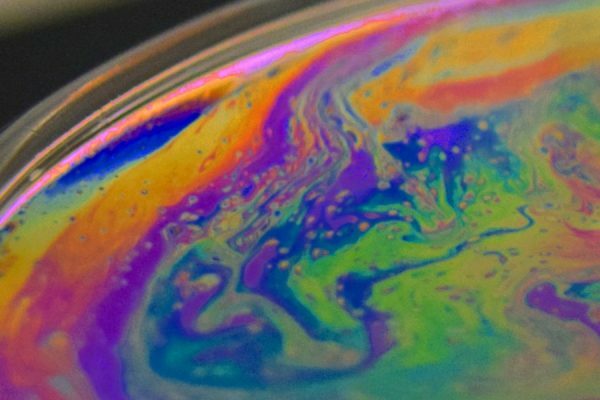 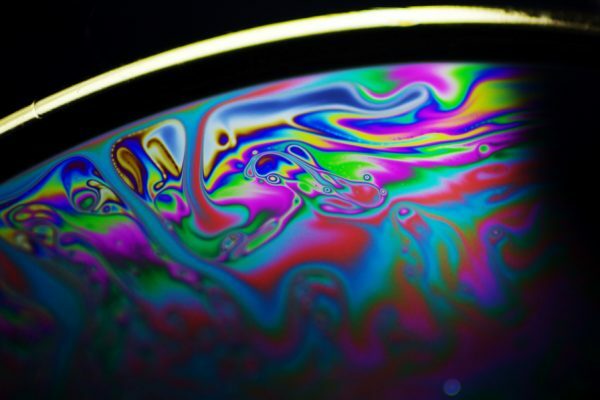 Foam in a soap solution causes thickness variations, shown by thin film interference. 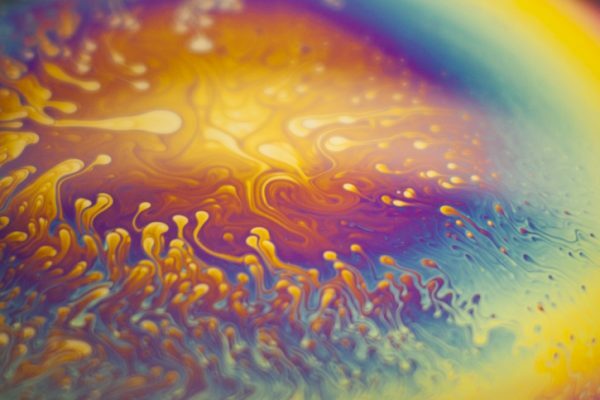 Sugar mixed into a soap solution creates varying thickness in a soap film. 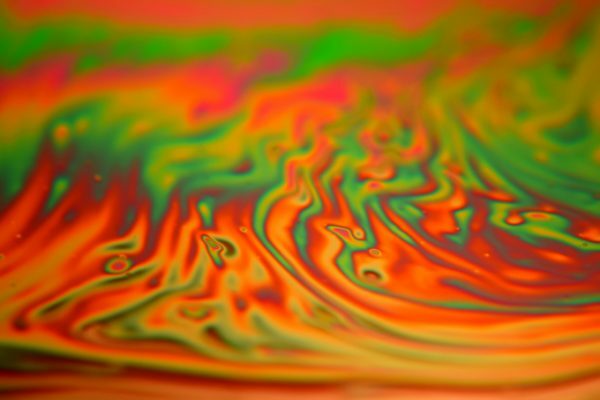 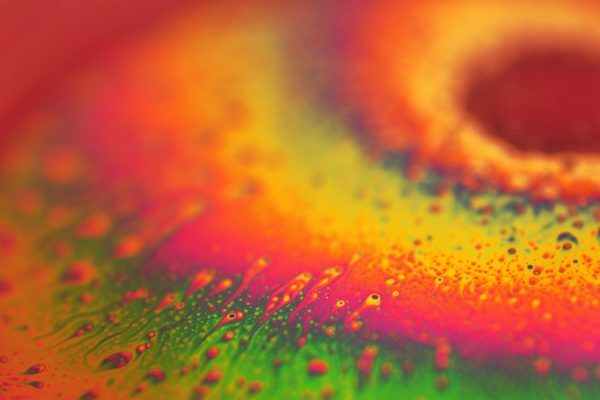 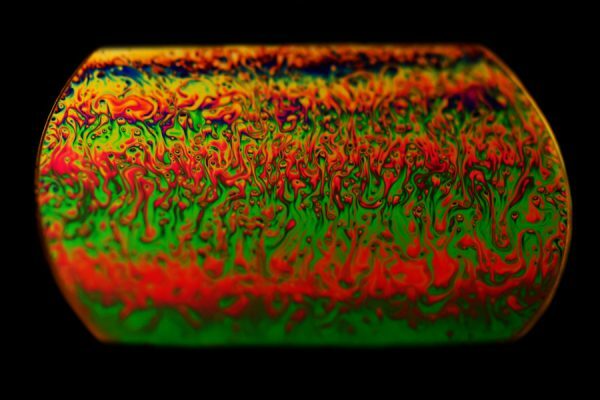 A horizontal soap bubble film drains towards its center, while nonuniformities from undissolved sugar crystals create colored patterns as the film thickness varies. 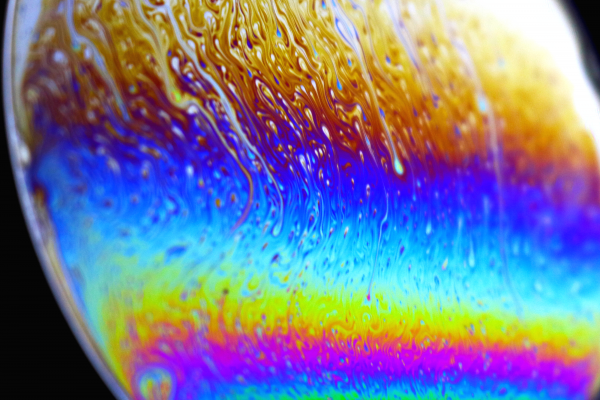 Soap bubble film nonuniformities create colored patterns as the film thickness varies.